PBI works nationally and through local affiliates to promote public banking in the US. Their website is a great source for information on money, banking, and innovative ways to get public finance under democratic control. PBI hosts regular national conferences on public banking and provides networking and strategic support to groups seeking to promote public banking on the state, county or city level. Commonomics USA works to reclaim a commons-based economy from predatory capitalism and privatization, including advocacy and education on public banking and working with organizations to build an economic justice mission. 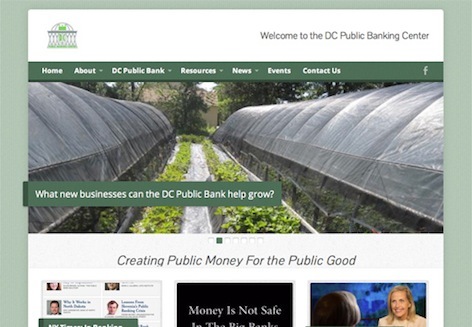 The DC Public Banking Center seeks to establish a bank that is publicly owned and publicly accountable, in partnership with local financial institutions, to provide the city of Washington with sound financial services that will help create environmental sustainability; promote local jobs, local businesses and affordable housing; and enhance the financial health of the city’s general fund. Public Bank LA is a grassroots movement to create the Bank of Los Angeles, which would accept city deposits and make targeted loans to the city and to local economic sectors where access to capital could make a measurable and positive difference for the community–a bank whose employees are public servants, and whose mission is to improve the lives of regular Angelenos. The California Public Banking Alliance is a coalition of public banking activists working to create socially and environmentally responsible city and regional public banks. Current alliance cities include Los Angeles, San Francisco, Oakland, Santa Rosa, Santa Barbara, Eureka, and Silicon Valley/South Bay. 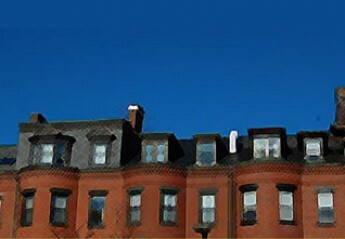 The Portland Public Banking Alliance, in Portland OR, seeks to establish a municipal public bank. The group holds regular meeting and events and has worked to make public banking a City Council election issue. Through direct action and political advocacy, the Public Bank NYC Coalition seeks the creation of a public bank for New York City, as part of a broader vision for economic and racial justice. They believe that a public bank charged with serving broad and critical critical neighborhood needs, will help achieve economic security and shared prosperity for all New Yorkers. The Brown Public Banking model does not go far enough. Google the American Monetary Institute.